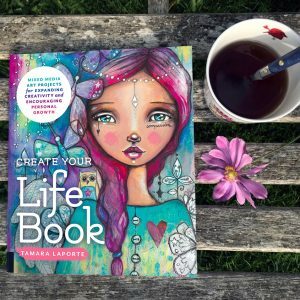 Lulu Art Store is an Australian art store owned by portrait & mixed media artist Kylie Fowler, who was one of the instructors on the very first Life Book way back in 2012. Kylie also recently designed ‘face’ stencils for Artistcellar, which you can purchase from Kylie’s store or direct from Artistcellar. 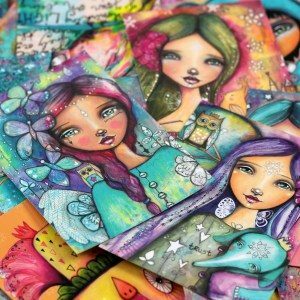 Lulu Art specialises in Kylie’s favourite mixed media/art journaling art supplies, such as Tim Holtz, Caran D’Arch, Dylusions, Dina Wakley Media, Jane Davenport Mixed Media, Ranger, Prima, Liquitex and Golden, to name a few; and even some of Tam’s favourites are sold here. Kylie also offers ‘Journal Playground’, an online art & journal making course, where you will learn to make various art journals, as well as protective covers and various art techniques. 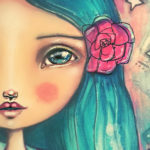 Visit Lulu Art Store at www.luluart.com.au or visit Kylie at www.kyliefowler.com. Kylie is Giving Away some wonderful goodies today! You can have a chance at winning any of the following gifts, by entering a comment below: 1. 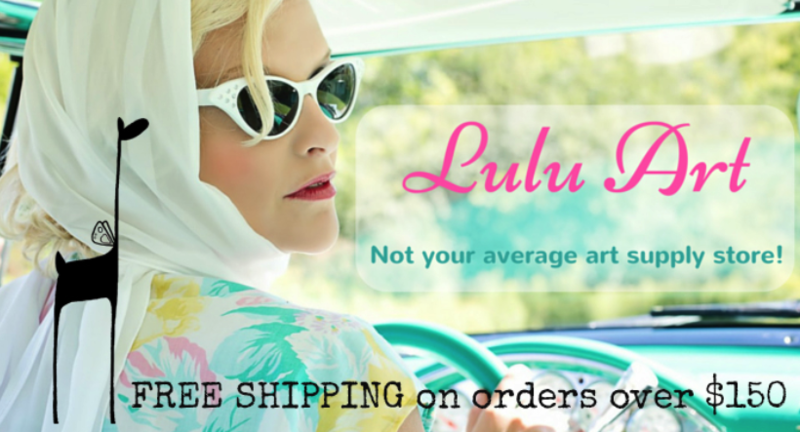 A place on Kylie’s online class ‘Journal Playgound’ & a $40 gift voucher from Kylie’s Art Store, Lulu Art 2. A place on Kylie’s online class ‘Journal Playgound’, 3. A Fowler Face Stencils 4 pack, designed by Kylie Fowler for Artistcellar. 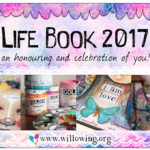 Willowing members use discount code: Lifebook10 to receive 10% off Mixed Media Art Supplies at Lulu Art from 26th April to 4th May. I’m a multi-disciplinary artist always looking for different ways to create new characters. I love exploring portrait and totem, matching personality and animal spirit, creating vulnerable yet strong women portraits, bringing light to darkness. I offer a spot in my new class Ladybird . We explore creating on a different substrate, theory of colours, composition and creation of characters. As a complement to these, we will create a soft-sculpture bird out of fabric. 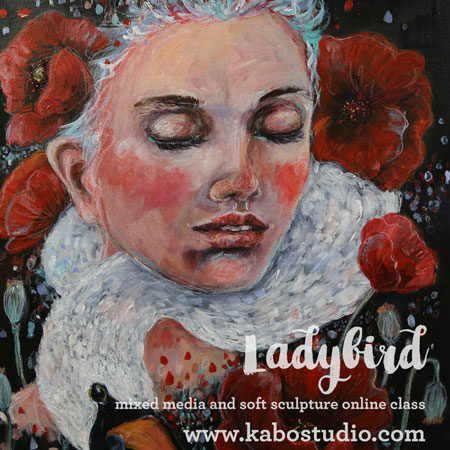 Learn about class here: http://bit.ly/2GGy5U7 Karine is Giving Away 1 place on her Ladybird Online Class! Class available at an additional 10% off for Willowing members until May 15 – use code Willowing10. 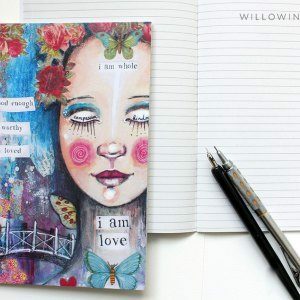 Cat Caracelo is an artist, guidess, depth coach and the founder of JourneyPath Institute, offering personal and professional programs that blend expressive art, transformative process and depth work to support healing, wholeness, expression and expansion. Cat is Giving Away TWO coaching sessions. Also the Winged Spark eCourse! 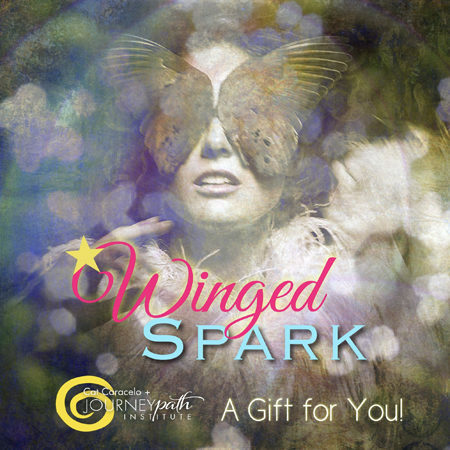 Inspire your life and play with visual storytelling in Winged Spark, a six lesson eCourse that is your Willowing Unicorn Gift! 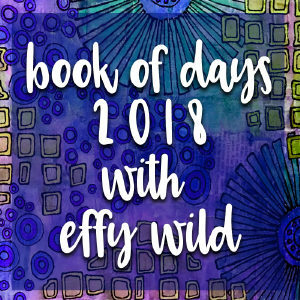 Explore your inner wisdom and find archetypal energies that will ignite and restore your creative flame. 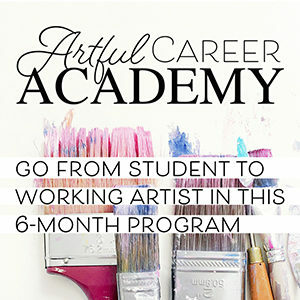 Art as process is a powerful way to ignite change! Get your Winged Spark. Jane Davenport’s latest book and a new workshop! ‘Fabulous Figures‘ my brand new book. In ‘Folkloric’ workshop I go through key lesson in the book to build a foundation for creating free-flowing figures and beautiful folk dresses. Book is out now. Online workshop starts May 21. Register today! 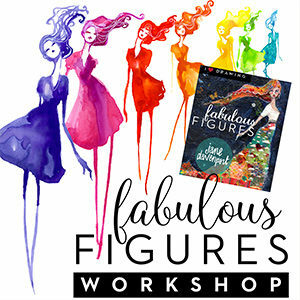 Jane is giving away 1 place on Fabulous Figures online workshop. 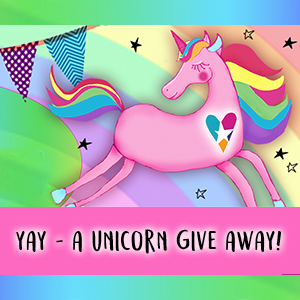 Enter “unicornjane” at checkout for special discount! 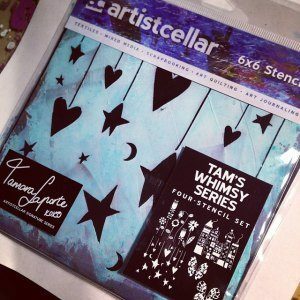 Tam is giving away 2 sets of her fun stencils! Eight 6″x6″ stencils in total! Tam’s Inspiration Stencils: Tam’s lettering style shines through her signature inspirational sayings. Add this beautiful text in whole or parts to inspire your artwork! PLUS Tam’s Whimsy Stencil Series. Four 6″x6″ stencils. Inspired by Tam’s signature whimsical style, each design can be used whole or in part to add your own bit of whimsy to your artwork! All designs 6″ x 6″. The site gets between 75,000 to 100,000 monthly page views and approx 20,500 unique visitors per month (daily unique visitors range from 1500 – 2500). The site has over 33,200+ members (and tends to grow with 400 to 500 members each month). The newsletter currently has almost 36,000 subscribers. If you are interested in advertising, please contact Maddie on hello@willowing.org. 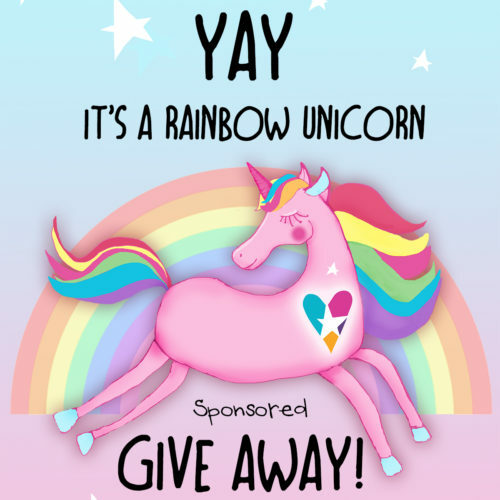 The Rainbow Unicorn Give Away will also be advertised on my social media sites (23,000 Facebook Biz Page/ 12,000 Personal FB page/ 15,000 instagram/ 9000 FB group members).